Do you see any similarities? Are these due to a coincidence do you think, or not? 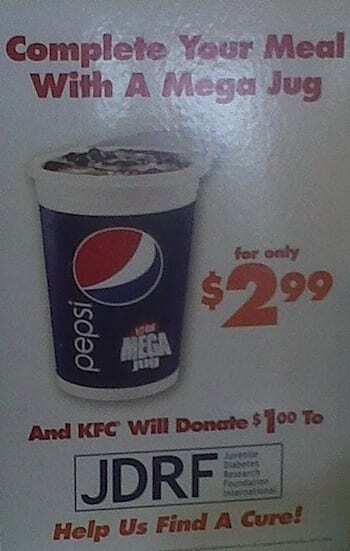 Personally I think drinking too much soda is the easiest way to get type 2-diabetes. The graphs are from an interesting new lecture by professor Robert Lustig on how to reduce sugar consumption. Soda and diabetes, a coincidence? I don't like where he's going. What if the government decides that you need legal age to eat meat as he suggests should be done with sugar? It's kinda scary! No. Soda and diabetes together is clearly not a coincidence. However, like Bernardo, I am not sure I like where Dr. Lustig is going with this. It's a really slippery slope he's standing on. I'd like to find a better way, if there is one. I believe you may disagree with statement 1 in regard to saturated and unsaturated fats. A reference is given in support of the statement. Could you explain why the reference is incorrect? In statement 2 you may disagree with the inclusion of the words ‘high-fat diets’. A reference is given in support of the statement. Could you explain why the reference is incorrect? In statement 3 you may disagree with the inclusion the word ‘fat’. The reference given in support of the statement is an article referring to specific research. Could you explain why the research does not support the conclusion? 3. Under Genetics: “Gene expression promoted by a diet of fat and glucose, as well as high levels of inflammation related cytokines found in the obese, results in cells that "produce fewer and smaller mitochondria than is normal," and are thus prone to insulin resistance. In statement 4 I’m not sure if you disagree with the inclusion of ‘high cholesterol’ (what is ‘high’?) as a risk factor for T2D. If you do, could you explain why the reference is incorrect? 4. Under Management: “Managing other cardiovascular risk factors including hypertension, high cholesterol, and microalbuminuria improves a person's life expectancy. When using the phrase "may decrease the risk" [my italics] it's usually an unproven theory we are discussing. And as no intervention trial has ever shown a low-fat diet to be better for diabetics than even a liberal low carb diet (using advice of, say, a maximum of 35% carbs) it's basically an unproven theory we are discussing here. A theory that makes no sense. My brother and I are the only ones in my family to have diabetes 2 - we are also the only ones who have worked shifts. My job was sedentary, but my brother was a mechanic and biked to work. We are both somewhat overweight, but not morbidly. Neither of us ate a lot of candy or drank a lot of soda, so the only common denominator is the shift work. Are there any statistics that show whether shift workers have a higher percentage of diabetes? Also, my blood sugar explodes when I have an inflamed shoulder, so I'm thinking another cause of diabetes 2 could be long time inflammation, caused by stressing the body with shift work. Anne, people who work shift usually has bad eating habits. Even if their food isnt that bad, they do tend to eat at times when they shouldnt. That's true - I definitely has a meal on night shifts around 4:30. That meant I didn't eat any breakfast before going to bed and usually had brunch around 15:30. Annedk- do a google seach on issues with shift work/night work. I know I've read a number of articles about the disruptions to several body functions when people don't get "normal" night time sleep. I am NOT a fan of soda consumption. I AM a fan of clean statistics-- and gleaning from these two maps that soda consumption equates to diabetes is a stretch. It would be more beneficial to have these maps in different hues and textures and to be able to overlay them to see the actual coincidence of these two factors.